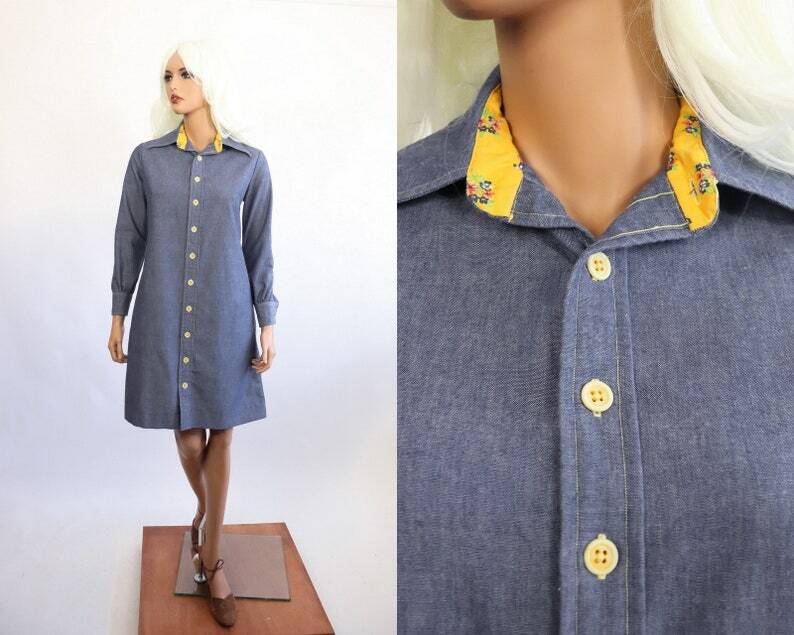 This vintage 70s Chambray Shirtdress is the best! You can wear it as a dress or as a jacket! Features yellow stitching and yellow buttons. Condition notes: Buttons have lost most of their paint. Some light wear and age to the fabric. One cuff button is missing.